As an industry leader in collision repair, Ray Brandt Collision uses only the highest quality products and equipment for your collision service repair. We are so confident of our I-CAR technicians and service team, we stand behind our work with a lifetime workmanship warranty. Ray Brandt Collision is a Direct Repairer for most major insurance companies. Our goal is to turn the misfortune of an accident into as pleasant an experience as possible. We will help you with filing your claim with your insurance company if needed and help in setting up your rental vehicle. Ray Brandt Collision will also assist in getting your vehicle towed if needed. We only use I-Car Certified technicians to work on your vehicle who use the latest and most up to date repair technology and equipment. Why take your vehicle to just any body shop near New Orleans when you can bring it to Ray Brandt Collision Center? Our process begins with the computerized measurement of your vehicle’s frame with our CAR-O-LINER electronic frame machine. It is programmed to measure just about every make and model on the road today. The CAR-O-LINER realigns your vehicle to factory specifications. It is the first step in making your vehicle safe for you and your family. Next, we use our PRO-SPOT welder to secure any welded-on sheet metal that needs to be replaced. The PRO-SPOT welder makes clean factory-like welds without the heat of a normal welding machine. This allows the frame to stay cool and maintain its structural integrity. This advanced technology not only speeds up the repair process, it also helps your vehicle maintain its resale value. We use only I-Car recommended replacement and repair procedures including corrosion protection that either meet or exceed factory recommendations. With our convenient, in-house Detail Department, your car never has to leave our facility. This brings the cost down for you and gives us the opportunity to control quality throughout the complete repair process. Quality inspections are an important part of the repair process at Ray Brandt Collision Center. The critical, final quality check is performed by our Detail Department. Our staff of trained technicians carefully examines the repaired area and thoroughly cleans the exterior and interior. We take pride in delivering a clean vehicle with a like-new finish. Automotive painting and refinishing is truly an art. Matching the exotic finishes found on many of today’s vehicles requires special expertise in application techniques, such as state-of-the-art heated paint booths and sophisticated paint systems such as Sikkens. Coupled with our Garmat Full Down Draft Paint booths, you are ensured a dust free, flawless paint finish. WHY CHOOSE RAY BRANDT COLLISION CENTER? Ray Brandt Collision Center stands behind all our repairs with a lifetime workmanship warranty. We’ve been in the collision repair business for over 30 years and have built a reputation based on timeliness, integrity and attention to detail. We make every effort to write as precise an estimate as possible the first time, but sometimes there are hidden damages which require some disassembly before a complete and accurate estimate can be written. An accurate estimate helps us and the insurance companies ensure a smooth flow of the repair process. We’ll work with your insurance company to arrive at a fair price to perform the quality repairs that you deserve, and we can proudly stamp with our lifetime guarantee. 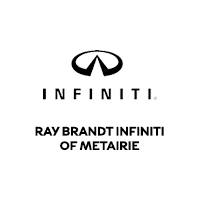 Ray Brandt INFINITI of Metairie also offers the benefit of an in-house Detail Department. That means your car never has to leave our facility during the repair process and helps bring the cost down for you. It also gives us the oversight we need to control quality throughout the complete vehicle repair process. Ray Brandt realized that accidents were inevitable, so in 1987 he opened his first of five collision centers in the Greater New Orleans area. Ray’s integrity as a dealer is carried over into his collision centers. The same great service found at his dealerships is also found in his collision centers.